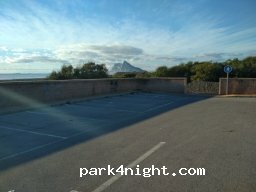 Parking gratuit avec vue sur Gibraltar. Contrairement au parking voisin, ici les places sont rectilignes et aucun conducteur de motocross n'est à proximité. La police vient régulièrement vérifier mais tolère. Très calme. Aucun approvisionnement et élimination disponible ! Free parking with great views of Gibraltar. In contrast to the neighboring pitch are the places just aligned and no motorcross riders nearby. Police come regularly check but tolerate it. Very quiet. No ver and disposal available! Kostenloser Parkplatz mit toller Aussicht auf Gibraltar. Im Gegensatz zum Nachbar Stellplatz sind hier die Plätze grade ausgerichtet und keine Motorcross Fahrer in der Nähe. Polizei kommt regelmäßig kontrollieren aber duldet es. Sehr ruhig. Keine ver und Entsorgung vorhanden! After a few months I stayed here another time and still this spot bis really good. Meanwhile the road to this area is newly tarmacked, so no longer bumpy, which makes it even better to drive here. Very quiet during the night and lovely walks on the beach in the evening and the morning, really great! 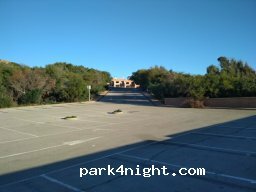 As stated in the major description, this smaller parking is indeed more flat and the motorcrossers don't use it to come to the beach, thus indeed more quiet. 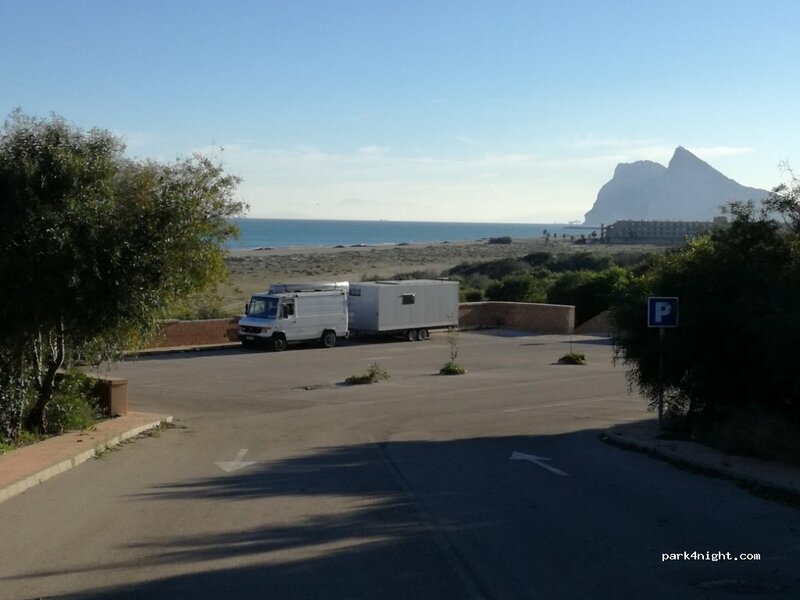 Good view on the Rock of Gibraltar, easy acces to the beach, no services. Unfortunately the spanish are not the cleanest people and leave their garbage allover, including glass ans condoms and all other kind of stuff. The Guardia Civil controls the larger parking but does not take any action. Quiet during the evening, sunrise in the morning is a nice thing to view whilst having breakfast in the RV. Its a bit remote but worth the bumpy road. Nice spot!